I teach Kindergarten and one of my professional goals this year was to integrate meaningful technology into the classroom; not just occasionally but daily! Last year, I noticed that I used my Smart Board more as a player for YouTube than anything else, and yet, I knew that it was capable of so much more. But what and how? So, over the summer months I took a course on Smart Exchange and realized it was not for me. Then I found Gynzy and took the free trial. Gynzy is helping me reach my tech goal with many, easy to use cool tools. 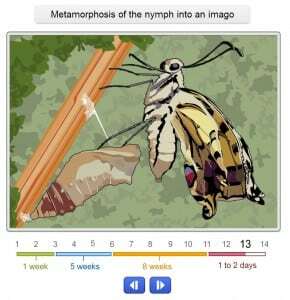 Within the first 15 minutes of using Gynzy, I created my own lesson plan for a unit on Monarch butterflies. First I used the image tool on the bottom of the screen to load a photograph of each stage of the Monarch life cycle from egg to butterfly. I used the text box to label the photos, and rather than read from a book, I used the board to describe the life cycle in detail. 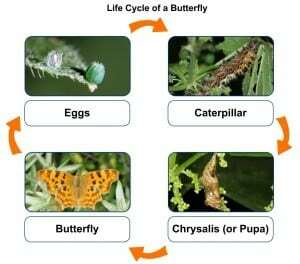 I added a page to the lesson with a video of a butterfly emerging from its chrysalis, used the pre-made page as a review with students interacting with the board and the final page contained a catchy you-tube song of the life cycle. Actual caterpillars are in the classroom for observation and we witnessed the spinning of the chrysalis, emerging butterfly and we released it on the playground. I showed students a map of North America on Gynzy so they could visualize the Monarch’s flight to Mexico too! I have created a morning routine lesson that the students use during our circle time for calendar, weather & place value. For my morning routine, children locate, name and add the date to the calendar and graph the weather each day. We also take a sight word challenge by reading high frequency words on a list. Children ask to reduce the time and try to beat themselves each week-the board will display them in 1-4 second intervals…highly motivating! 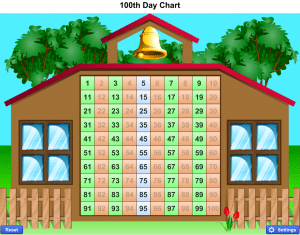 For place value, children express the number of days of school we have had in tens and ones, building to the 100th day of school. We are almost half way there! Most of my math and language arts lessons are now introduced using interactive tools before we move on to use physical manipulative tools in the classroom. The Bus Sums tool is a fun way to introduce addition, I suggest the equation and children count to solve. But I also use the Bus Sums tool to review addition, and then the children create their own equations. Anything with a spinner the children love. 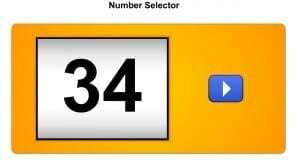 I like to use the number selector and children name a random number from 1-100. I also consistently use the 10 frame tool and comparing tool to reinforce fewer and greater in groups. Almost any math concept I want to introduce I can find, then I just add it to my favorites tab to have them right at my fingertips during class. When we have a few extra minutes of class time, I pull them up and we roll. 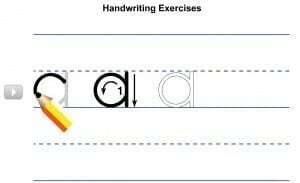 For Language Arts, I use the initial consonant sound and the short or long vowel words. When I introduced counting syllables, I used Gynzy for an endless supply of words. My kiddos love checking their own answer and hearing the immediate feedback from it. And before we practice printing letters, Gynzy shows us how with what we call “the magic pencil”. Because Gynzy is intuitive, my inbox seems to provide new seasonal items just when I need them. A quick glance at the emails I receive, usually yields a new idea that I can immediately use. I love that! It keeps my IWB time fresh and exciting for my class. Even the use of videos and songs has improved because I can avoid all the unwanted YouTube material by using the tool. A quick search and I load what I need ahead of time, eliminating the awkward in front of the class search, protecting my student’s young eyes and streamlining my lessons. With such ease of use, Gynzy has given me the confidence I need to incorporate my Smart Board everyday in my lessons.